Whether performing a routine surgery or an emergency procedure, you can have confidence Dr. Riggs will work hard to ensure each procedure is thorough, done with the utmost expertise, and as stress-free as possible for you and your pet. The veterinary team at North Paws Veterinary Clinic fully understands the decision to allow your pet to undergo surgery is never an easy one. To that end, we're happy to answer any questions regarding your pet's specific surgery. In fact, a pre-surgical consultation is an essential part of the process. Dr. Riggs is also happy to provide you with information on postoperative care to ensure a rapid return to your pet's happy, healthy self. The doctors at North Paws Veterinary Clinic utilize a state-of-the-art surgical facility to ensure procedures are as safe and efficient as possible. Veterinary technology is advancing at a rapid pace. These advancements, combined with our expertise, greatly reduce the risk for complications and allow us to perform surgical procedures quickly and accurately. Before your pet undergoes any surgical procedure, a thorough examination takes place. This exam includes a pre-surgical blood screen, which, along with your pet's anesthetic history, breed, preexisting conditions and age, will be used to determine a unique anesthesia protocol. These tests have the added benefit of establishing a baseline for the comparison of future blood tests, should your pet require any. 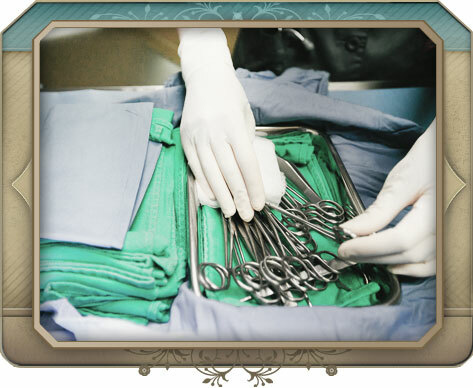 For most surgical procedures, anesthesia is required. While under anesthesia, your pet is continuously monitored by both our staff and specialized anesthesia monitoring technology. Your pet's blood pressure, heart rate, respiratory rate, body temperature and oxygen level are all tracked during surgery. Just as with humans, pain has many negative effects on your pet that go beyond physical discomfort. Pain after surgery can slow healing and worsen diseases like arthritis - and because our companion friends don't understand why they are experiencing pain, pain can cause behavioral issues and interfere with the bond between you and your pet. To minimize your pet's discomfort, we typically use a combination of local anesthetics, NSAIDs, local nerve blocks and narcotic pain relievers. The exact protocol is tailored to each animal, and depends on several factors determined by the pre-surgery exam and during the procedure. The amount of time your pet will need to monitored after surgery varies. In some cases animals will need to be monitored overnight; in others they can be sent home the same day. 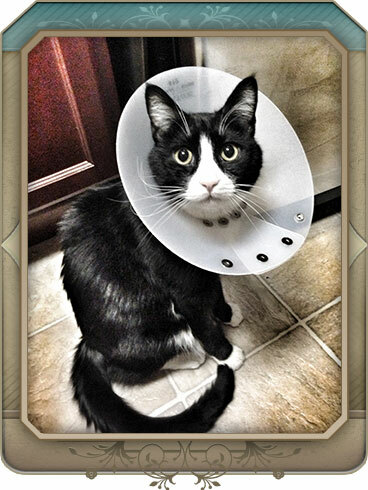 When your pet is discharged, Dr. Riggs will provide you with information on proper home care after surgery. Your pet will often be prescribed medication; in this case, we will explain how and when to administer it. We will also be available to answer questions after your pet arrives home. Contact us with any questions or concerns following surgery and we will be more than happy to help you. If you need more information about the surgical services North Paws Veterinary Clinic offers for your pet or to schedule an appointment at our animal hospital in Maple Grove, please contact us.